Jean Vanier, who for the past 50 years has sought inclusion for people with disabilities, has won the $1.7 million Templeton Prize. He joins the ranks of Mother Teresa and Billy Graham in receiving the prize, which is given to people who make exceptional contributions to affirming life’s spiritual dimension. “Our society will really become human as we discover that the strong need the weak, just as the weak need the strong,” Vanier, 86, said at a news conference announcing the prize. In 1964, Vanier moved into a house with a number of adult men with intellectual disabilities. In doing so, he founded the L’Arche movement, which now boasts similar residential facilities in 35 countries. Beate Sass photographs a mom brushing her son’s teeth. The day-to-day lives of people with disabilities is not something that gets widespread attention. Few of us ever see the parent brushing the son’s teeth or helping the daughter eat cereal. Not many of us know a young person who has aged out of the public school system and has no prospects of getting a job because he has a disability. So he spends his days idle, bored and aimless. These are images and situations that photographer Beate Sass knows well. Beate, who lives in Georgia and has a daughter with disabilities, has decided to shine light on families like her own. She’s using her passion for photography to get more visibility for people like Donald and how, with appropriate services, he can lead a productive and fulfilling life. She’s also drawing attention to individuals like Don and his parents, who are getting older and wondering how they will take care of their son. Beate is on a mission to get the Georgia legislature to pass additional Medicaid waivers so that more people with disabilities can live independently and their families can have the support they need. My hat’s off to Beate, who’s launched a website of images on the subject. She and I share the same mission — to bring people with disabilities and their families out of the shadows and into the light. Since President Kennedy went public with his own sister Rosemary’s intellectual disability, the nation has moved away from housing people like her in institutions. At Kennedy’s urging, Congress passed laws designed to move people with intellectual and mental disabilities into more natural community settings. Now, 50 years later, the report card on how we’ve done in this massive effort is out. And we haven’t made good grades. The money that supported expensive institutions has not transferred to the community. Families who have a person with a disability in their household are bearing an increasing financial burden. Four years ago, The Arc, a family support organization released an eye-opening and discouraging report on how the nation has done in this era of change. It is titled Still in the Shadows with Their Future Uncertain. And today, the New York Times ran an op-ed by a psychiatrist pointing out that the movement has not worked out well either for people with mental illness. People in this population have ended up homeless or in prison or in other inappropriate settings. In short, we still haven’t done what we need to do for our most vulnerable citizens. And the prospects for change are not good, given the budget-cutting that seems to be the rage across the country. I encourage you to not only read the report and the op-ed, but to look at the comments on the opinion piece. They are equally enlightening. Call me a dreamer. Call me idealistic. But I have a vision of a world in which people like Grace Ramsburg can be in a Super Bowl commercial and it won’t be so extraordinary. Grace Ramsburg, 8, in Super Bowl ad. But for now, I rejoice in the fact that this 8-year-old cutie, who has Down Syndrome, will have a brief appearance in a McDonald’s commercial during the big game. Grace’s mom Holly Ramsburg says she’s not sure if her daughter realizes what a big deal this is. She told Disability Scoop, “There’s still misunderstanding and there’s still judgment. One day, this won’t be a newsworthy event. I hope I get to see it. I hope Holly does, too. 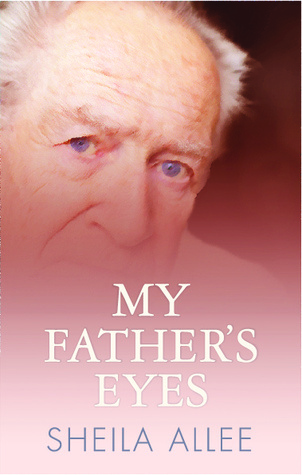 If you’d like a chance to win a free copy of My Father’s Eyes, enter the contest on the Goodreads website (see link below.) Winners are encouraged (not required, of course) to post a review on Goodreads. You must be a Goodreads member to enter. Giveaway ends September 12, 2014.